Velcro tie is the savior of cable mess, I just love them! Highly visible trays along with clean management. These cable ties arrived on time, good as expected. Outdoor fiber optical connectors are designed for application in harsh outdoor environments under severe conditions. They are used for data and telecommunications in mobile radio, process, utility and traffic automation. 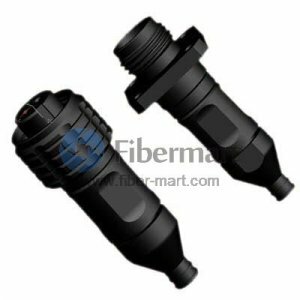 Fiber-Mart provides all types of outdoor fiber connectors. These connectors meet the highest quality and robustness standards, and they offer reliability and flexibility for outdoor applications.